In preparation for celebrating Christmas tomorrow with the family, there was a lot of cooking to be done. So by the time I got around to dessert, I was exhausted. I decided bread is always easy so I made my zucchini and walnut bread as well as my winter cranberry bread. Five loaves later, it seemed like something else should be added to the mix, though nothing too difficult. 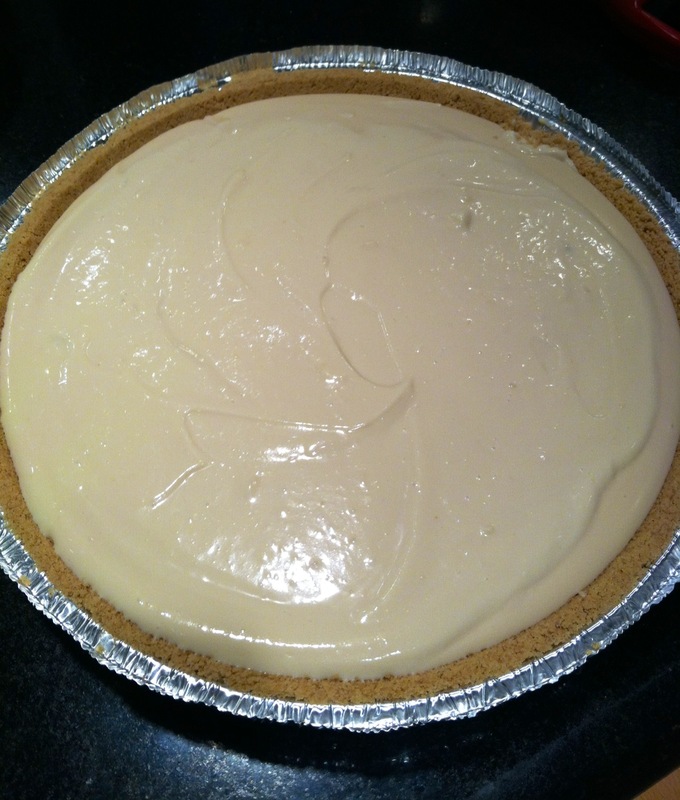 So I decided to make a white chocolate pie! I have previously made a dark chocolate pie using the same recipe just with different chocolate and like I say in that recipe it really is great because it takes less than 30 minutes and is really easy to make. Though I should point out, if you don’t like the taste of tofu, this may not be the pie for you. White chocolate doesn’t hide the taste of the tofu as well as the dark chocolate does so keep that in mind for whoever you are serving it for. Start with your pie filling. Place the silken tofu in your blender. Then add your three tablespoons of vanilla extract. Blend until smooth. Now melt your white chocolate chips over medium heat by using a double boiler. If you don’t know how to set up a double boiler, it is pretty easy. What you need to do is put water in your pot until it is about a quarter full. Then set over medium high heat so it will boil and place a metal bowl with your chocolate chips over it. Let the chips melt but stir often so they do not burn. When the white chocolate chips have melted, add them to your ingredients still in the blender and blend until smooth. Finally, pour your mixture from the blender and into the graham cracker crust. Your pie will need to be refrigerated for at least 4 hours to set properly. After this time, simply take your pie out and serve it!